Bring your videos to an international audience in a simple, cost-effective way with Global Voices’ voice-over translation services, ideal for documentaries, news broadcasts, training videos and e-learning materials. In contrast to dubbing, which employs an entire cast of voice-over artists to replace each filmed speaker’s dialogue in a way that matches their mouth movements, voice-over translation utilises one narrator to create an additional audio track which translates all a video’s audio — or a simplified version. 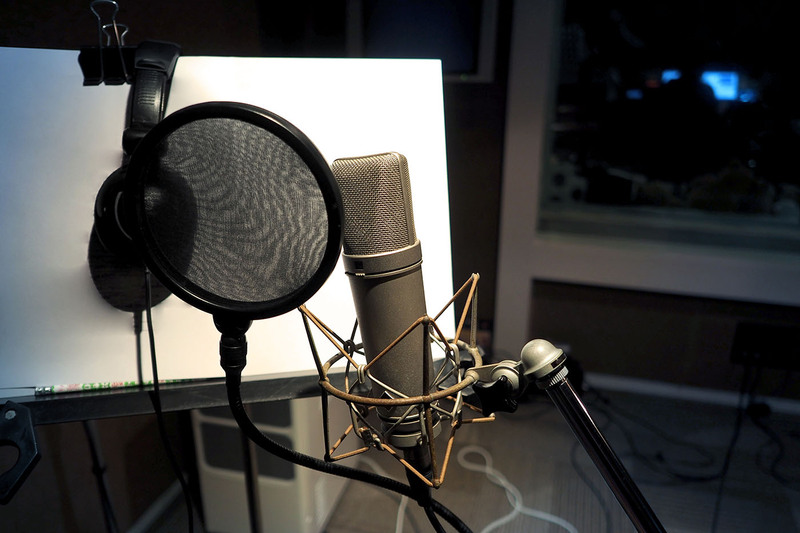 While major movie releases will often use dubbing, smaller-scale videos are far more suited to voice-over translations. With all the original audio present in the background, the voice-over is free to communicate exactly what is going on to the viewers, even if their words do not match up with a certain speaker’s appearance or screen-time. Condensing all the language and dialogue of a video into a single audio track is a complex process which only the best linguists and voice-over artists can carry out. The team at Global Voices has years of experience, making them the perfect translators to handle voice-over translation for your videos, in any language you need. Global Voices is one of the fastest growing translation companies in the world for a reason. Our strong, proactive team makes us one of the leading translation providers in all of our chosen fields. Do I Need Voice-Over Translation Services? Though dubbing might be the more well-known approach, voice-over translation works particularly well with videos that relay information. Corporate induction or training videos in particular can benefit from voice-over translation services, as can e-learning videos for customers. Narrative-based videos can still use voice-over translation effectively, with broadcast news reports and documentaries often undergoing the voice-over treatment. When approximating the vocal emotional expression and lip movements of a speaker is less important — such as in an educational video where the only speaker is an instructor, or in a news report where the substance of a subject’s interview is more pertinent than their speaking style — voice-over translation is more than enough to translate your video effectively.